In the Chinese tradition energetic training is life-long and passes from Master to pupil. Master Instructor Christine Nobel passes on her knowledge and skills through her training programme in “The Nobel Method of Intuitive Healing” and in “The Yuen Method of Chinese Energetics”. Christine has given Workshops across Europe and in the UK. Her main Training Centre is in the historic English Cathedral town of Hereford in a beautiful and tranquil setting on the banks of the River Wye. 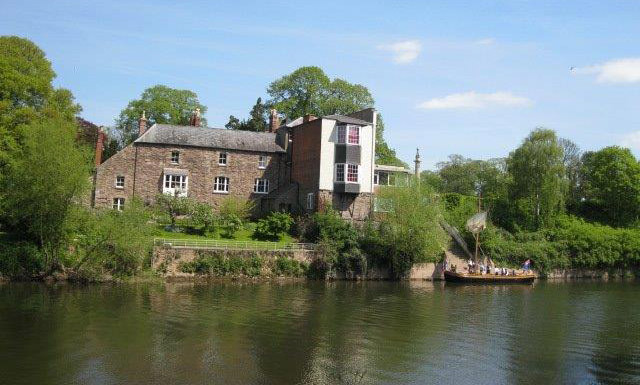 The training centre on the River Wye. Hereford is on the English/Welsh border. The nearest UK airport is Birmingham and trains run direct from London, Birmingham and Manchester. There is a variety of hotels, B&Bs and restaurants in the centre of the city, just 5 minutes from the training centre. Christine is willing to give Workshops in other parts of the UK and Europe.